Most importantly, the holistic model of health believes that all individuals are entirely responsible for their own health, or lack there of, and consequently responsible for creating good health and optimum wellness. In fact, accountability is the one factor that I believe is still sadly missing from our health care system. I respect that this is a difficult concept to infuse into the evolution of a people who still believe they are a leaf in the wind, and that the wind is out of their realm of influence. However, whether we are a health practitioner, client, or the social collective consciousness we all have our journey and since the holistic health model respects that all things have a process, the lack of accountability for one’s own health must also be treated with love and caring. In fact, working towards attaining and embracing accountability is part of an individual and social journey. Therefore, the task of a holistic practitioner is also to show people that their health or disease is in their hands and to not be afraid of their power over their own health. It is up to you, the holistic health coaches, to show your clients to see illness not as failure but as part of their personal journey and, equally important to being well. 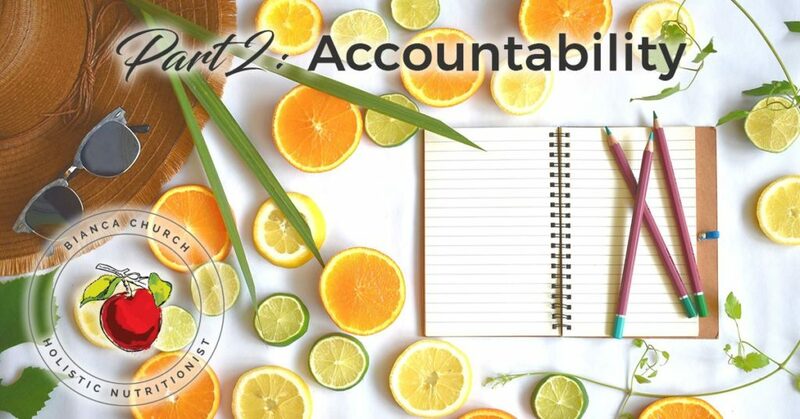 How we as holistic nutritionists facilitate accountability is to be an educator and not a healer. To be a healer or to be healed indicates a form of distance from the healing itself. In truth you cannot heal anyone, they can only heal themselves. Of course, you can show your clients what changes to make, but in the end, it is entirely up to them to incorporate those changes and to heal themselves and ultimately accepting accountability for their health and illness. This leads us into the second principle; being an educator. Join me next time where we will explore this concept.